Robert Charrow was sworn in as the General Counsel on January 2, 2018. Most recently, he was a principal shareholder in the Washington, D.C. office of Greenberg Traurig, LLP, where he specialized in litigation arising under the Administrative Procedure Act, the federal regulation of healthcare (e.g., FDA, CMS, OIG), and federal appellate litigation. While in private practice, he represented academic and research institutions, hospital systems, learned societies, pharmaceutical companies, health care providers, and insurers, with respect to a broad range of issues arising under the Medicare and Medicaid programs, the Affordable Care Act, the Federal Food, Drug, and Cosmetic Act, the Public Health Service Act, HIPAA, the False Claims Act and other federal laws affecting or regulating the delivery of health care and research. He also counseled clients on campaign finance and government ethics issues. Before joining Greenberg Traurig in 2002, he was with Crowell & Moring from 1989-2002. From 1985-1989, he served as the Deputy and then Principal Deputy General Counsel for the Department of Health and Human Services and, as such, supervised the Chief Counsel for the various agencies within the Department, including the Health Care Financing Administration (now CMS), Office of Inspector General, the Food and Drug Administration, and the Public Health Service (e.g., NIH, HRSA, CDC). For many years, Mr. Charrow was a full-time law faculty member last serving as an associate professor of law at the University of Cincinnati. He has authored or co-authored three legal texts, one in its fifth printing, and over 100 articles in various journals, including the Journal of the American Statistical Association, the New England Journal of Medicine, the Journal of the American Medical Association, the Journal of NIH Research, Columbia Law Review, UCLA Law Review, and Georgetown Law Journal. 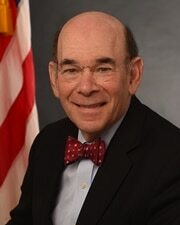 He served on various boards including the advisory board of the Institute of Human Virology, which is a component of the University of Maryland School of Medicine, the Secretary’s Advisory Committee on Organ Transplantation, the Attorney General’s Task Force on Tort Reform, and the Secretary’s Task Force on Medical Malpractice Reform. He is a member of the American Law Institute and serves on the Consultative Group for the Principles of Law, Government Ethics, and as an Adviser on the Restatement of the Law (Third) of Torts: Intentional Torts to Persons. He also has served as an officer and member of various ABA sections. He received his law degree from Stanford University and his undergraduate degree in physics from Harvey Mudd College in Claremont, California.